“In the last seventy years medical science has advanced more than ever before in history. In order to acquire the prescribed minumum of knowledge and skills the student must spend almost ten years on studies in college, medical school, and hospital, and must invest a considerable capital in order to become a doctor. When at last he is qualified to practice, he must sell his services on the open market to a society that consists mostly of wage earners who have no security of income. He is not free to choose the place in which he wishes to practice. He cannot settle down where his services are needed most urgently, but must select a community that is able to support him and to provide for him the standard of living to which he feels himself entitled after so many years of study and such great sacrifices. We know that the distribution of physicians is not determined by need but by the per-capita spendable income of the population. Even when he has selected the economically right kind of community the young docor is often unable to apply all he has learned in medical school. Necessary examinations and treatments must be omitted becasue they are too costly to the patient. Many physicians try to solve the problem by investing more money in studies and spending a few more years in hospitals. They become specialists and this entitles them to higher fees. But in order to obtain them they must practice in the larger cities, with the result theat there are more specialists than are needed and they are bady distributed. Under such a system large sections of the population have no medical care at all or certainly not enough. The technology of medicine has outrun its sociology. Many health problems have been solved medically but remain socially untouched, thus defeating the progress and wasting the grians of medical science. There is only one solution to the problem. We are convinced that the people’s health is important and that it is a senseless waste of human happiness and wealth to have thousands of people needlessly sick and thousands dying prematurely. We no longer accept the Greek view that health is a privilege of the rich, but agree with the medieval idea that everybody, rich and poor, should have all the medical care that science can give. There is only one way of achieving this: the physician must be removed from the sphere of compeitive business. He must be liberated from the economic bonds that were forced on him by a system which is incompatible with the character of medical service as we conveive it today. We cannot thing of a minister of the church, a judge, or a professor selling his services on the open market. The physician is doing work of great social significance and must be guaranteed in exchange complete social security and the standard of living to which his education entitles him. He must be free from economic worries so that he can devote all his energy, intelligence and skill to his great task. It is not be accident that most progress in medicine has been achieved by physicians in salaried positions. Private competitive medicine cannot satisfy the health needs of a nation. This was recognised long ago, and this is why public health services were established in every country and developed more rapidly as the nation became more conscious of health. This is why charity services had to be maintained although charity is a poor principle of organisation because it may fail in times of economic stress when help is most urgently needed. This is why special regulations had to be made to protect the worker and to guarantee him medical aid and compensation when he is the victim of industrial accidents and occupational diseases. But even so, private competitive medicine is left in charge of most of the nation’s health work, is responsible for it, and is facing a task which it is unable to solve. 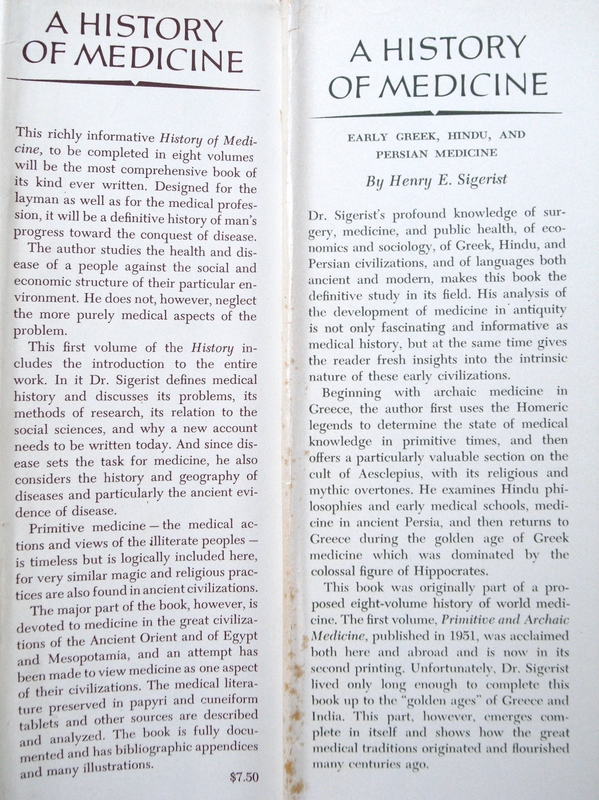 History points out the direction in which medicine is moving. The physician’s knowledge is no lonoger based on theology or philopsophy but on science. Scientific research will therefore remain the rich source that supplies the physician with ever-improved views, methods and techniques for the protection of health and the fight against disease. Research must be promoted by all means available. But scientific knowledge alone is not enough. Physician and patient do not meet on a lone isand but are both members of a highly differentiated society. Hence scientific research must be supplemented by sociological research which studies the life cycle of man in his social environment and investigates factors favourable or detrimental to health and methods of social readjustment. Medicine already is sufficiently advanced to give the physician the means necessary for the practice of preventive medicine on a large scale. Prevention of disease must become the goal of every physician whatever his status may be. The barriers between prevention and curative medicine must be broken down. The general practitioner will remain the core of the medical profession , but alone, left to himself, he is lost and cannot possibly practice scientific medicine. He needs the backing of a health centre or hospital and a group of specialists whose help and advice he can seek. Practice tomorrow will of necessity be group pracice, organised around a health centre which will have health stations as outposts in strategic points of the district. The people need more than a family doctor; they need a family health center where physicians will not wait until a sick man calls on them but from where they will go out into the homes and working places in order to help the people before illness strikes. No longer will the doctor be economicaly dependent on his patient, forced to exploit their illness and suffering. Whether such a health center should be financed through axation or compulsory or voluntary insurance is a secondary consideration which will depend on circumstances. I am convinced that medicine, like education, will ultimately become a public service in every civilised country. All trends are in that direction. Under such a system medicine can fully apply all scientific means at its disposal and can reach the entire population. Under it moreover, the risks are spread among the largest possible number of people and their resources are pooled. At what time such a point will be reached in the various countries will depend on economic, social and political developments. It may be sooner than we commonly expect. The war which broke out in 1939 will destroy the laissez faire attitude once and for all and will force social adjustments that have been neglected in the past. Sigerist believed passionately in science and knew the importance of research. The National Institue for Clinical Excellence, NICE has set internationally respected standards for collating and disseminating evidence based medicine, and I am sure Sigerist would have approved. I am equally sure that he would not have approved of our government’s curtailing of NICE, forcing them to stop work on nineteen public health projects and put on hold several others (BMJ 2010;341:c7306). Sigerist explains the importance of integration and collaboration, which critics (and impartial observers) of the NHS reforms believe are seriously at risk by opening up healthcare provision to ‘any willing provider’. Evidence from the US Mayo clinic and others shows that when clinicians collaborate (rather than compete) costs and clinical errors are reduced and quality increases. Better collaboration is top of my list for alternative NHS reforms. When I gave evidence to the health select committee, I criticised the government’s plans for GP commissioning because they did not involve other healthcare professionals. Sigerist was right, and the committee have just recommended that GPs involve hospital and public health specialists. Sigerist anticipates Atul Gawande‘s now famous article, ‘The Cost Conundrum’, written in 2009, by contrasting the costs of financial incentive driven care with the excellence of care given by salaried doctors, in articles he wrote for Time Magazine in 1939 and the Canadian Journal for Public health in 1944. Sigerist’s next passage, about the necessity of group practice is not just about collaboration, but about health centres, landmarks like Finsbury Health Centre and Bromley by Bow Centre. Sigerist got his ideas from the Soviet Union. Lord Darzi did not credit the Soviet Union for his polyclinic proposals, known also as Darzi Centres. Many GPs were very supportive in principle, but objected to the way they were being imposed. Rather than look at other ways to set them up, the present government has shelved them at significant costs to local primary care trusts. He was therefore able to see the relationship between medicine and society in a historical context that is noteably absent from present debates about healthcare reform. Then, as at the begining of the NHS the medical establishment were against socialised reform. Now in the UK the majority of medical professionals are against market based reforms. The battle lines are between those of us who believe the NHS should be based on integration and cooperation like the model predicted by Henry Sigerist seventy years ago, or more like the one that actually existed at the time he was writing, based on choice and competition. That will be our future for the NHS if we do not continue to fight for its founding principles. 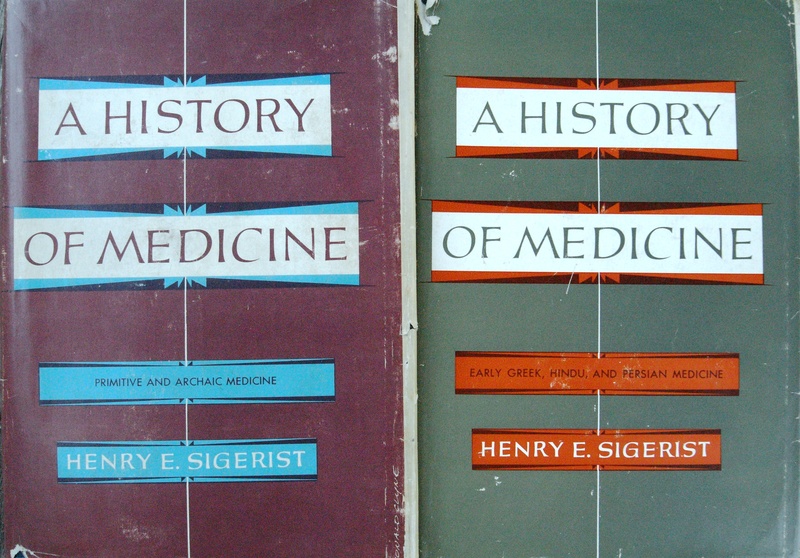 Having read several of Sigerist’s books, I believe he has a great deal still to teach us today, not least that differences over NHS reform run deep. Health cannot be forced upon the people. It cannot be dispensed to the people. They must want it and must be prepared to do their share and to cooperate fully in whatever health program a country develops. No bill is perfect from the very beginning. If we had to wait until we had a perfect bill that would satisfy everybody and would solve every problem at once, we would never get anywhere. A beginning must be made and must be made soon, because in war as in peace the people’s health is one of the nation’s most valuable assets. Thank you David. As a monoglot with a very patchy knowledge of history, I am in awe of Sigerist. His books are highly recommended for all doctors and medical students. His writing style is highly accessible, clear, almost conversational, full of enthusiasm and delight in his subjects. Wow! Thanks for this JT. Amazingly prescient. You should send a copy of his articles to all members of the ConDems and the BSW. Good health is vital to an economically healthy nation. Surely the politicos must see the illogic of subjecting public health to a quasi-market that will benefit no-one in the long run. In terms of modern evidence against competition in healthcare, this article (http://www.nybooks.com/articles/archives/2010/sep/30/health-care-disquieting-truth/?page=2) by Arnold Relman, Professor Emeritus of Medicine and Social Medicine at Harvard Medical School and former Editor in Chief of The New England Journal of Medicine has a great last paragraph, and basically argues that competition also drives the cost of healthcare up, not down, while ensuring it reaches fewer people. He might be a good person to be in touch with about the UK reforms. I do agree with the principles and the aim… But, whenever theory and practice of modern social medicine goes towards asficting over regulation, one asks himself if the direction systems are undertaking is correct or if they are merely cost contention strategies devoid of other scopes.